What will the gaming community’s reaction be? 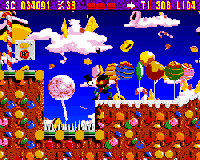 Many gamers defend the principle of advertising in games on two counts. Firstly, the revenue generated for the developers and publishers can only help improve their gaming experience through improved financing support services and providing more money for future game development. Secondly, the adverts themselves improve the gaming experience. Advertising is a massive part of our everyday lives, and their inclusion is seen as natural, helping to improve the general immersive gaming experience. Yet for some, whether blended into the environment or not, the very presence of adverts will be seen as an incursion into their territory, just as web adverts are perceived as intrusive and unnecessary. An issue of perhaps greater contention in the Counter-Strike case, is that whilst gaming servers are run at much cost by their owners, Valve will be earning advertising revenues based on these servers’ continued operation and popularity, and generating these extra revenues from a product that has already been purchased by the end-user. But do gamers even take notice of the adverts? A recent survey suggests that current in-game adverts are failing to garner the recognition expected. Sadly, this survey is unrepresentative of the gaming community as a whole, and its sample size is bordering on frivolous. It might indeed only be expected that in racing titles the gamer will take less notice of the surroundings as the focus is on reaction speeds and racing skills, with a constantly changing reference point in the virtual world. 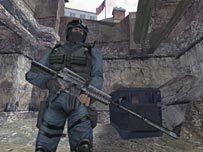 In comparison, Counter-Strike’s gamers often have to spend idle minutes between rounds in ‘spectator mode’, leaving them essentially free to explore the environment as they choose, whilst the game does not rely on fast-paced action and constantly changing environments as a racing title does. Next Post When Is a Student Not a Student? When There’s Money Involved!